Continuing the band’s successful legacy over the years, Realms of Odoric is the band’s twelfth album to date. 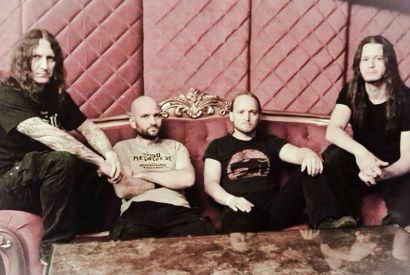 The folky melodic death metal format that has been the weapon of choice is still armed at the ready, though the approach is as varied and leaves a pleasurable taste upon the palette. Having sustained for this long of a time period (and number of albums), no one is expecting a reinvention of the wheel. Realms of Odoric sticks to the band’s quintessential strong points and delivers a solid effort for fans. Symphonic elements add an almost soundtrack atmosphere and help the tracks to sound pretty huge at times. The best example of this is album highlight “On Roads to Ruin,” where the melodic leadwork and upbeat synths bring the track to soaring heights. The bagpipe usage on “One Against the Tide,” catchy cleans of “The Serpent Within,” and the more mellow “Braving the End” (which features returning female vocalist Tina Stabel) provide some additional treats for those looking for plenty of variety. More traditional fare such as “The Hunter’s Horde” and “Dark Revelations” still greatly holds interest due to the band’s high level of songwriting competency and willingness to hone in on what works for them. While it may stick to familiar territory, Realms of Odoric will find solid footing with the Suidakra followers. 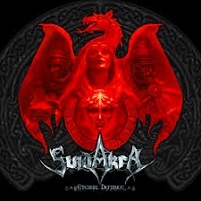 Folk atmosphere, classic metal solos, memorable vocals, compelling orchestration – Suidakra has you covered. 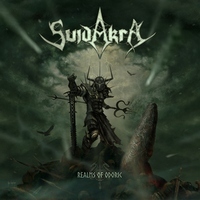 Twelve albums and over twenty years in, Suidakra have made their mark on the scene, but aren’t willing to phone it in. The constant effort to hone in and make progression within their established direction is notable, and a sure-fire reason to continue to look into each and every future effort.